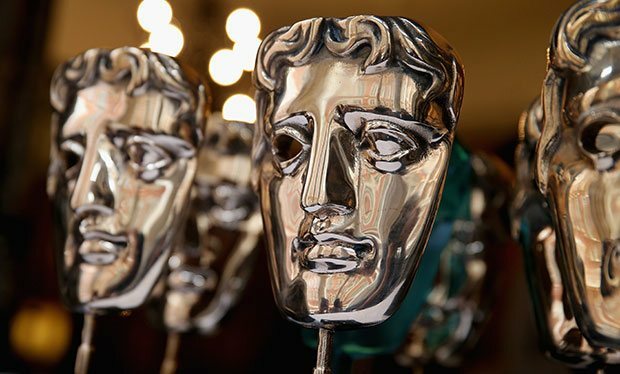 Not only was February 14th home to Valentines Day this year, but it was also the chosen date for the 2016 Bafta awards. All manner of creativity and talent from across the globe headed to London for the annual event, celebrating the best of the past 12 months movie accomplishments. As per the norm of this prestigious event, the stars of the silver screen were out in force and dressed to impress, adorning themselves with choice outfits from only the very best fashion designers. At Fashion Runway Blog we’ve taken it upon ourselves to deliberate over the fantastic ensembles to pick our 10 best dressed celebs. Take a glance below to see who stole the show, at least from a fashion stand point! Firstly we have Cate Blanchett in a stunning sequin and feather dress from Alexander McQueen. Custom designed especially for Cate, definitely one of the fashion highlights of the event! John Boyega stands proudly brandishing his ‘Rising Star’ Bafta award. 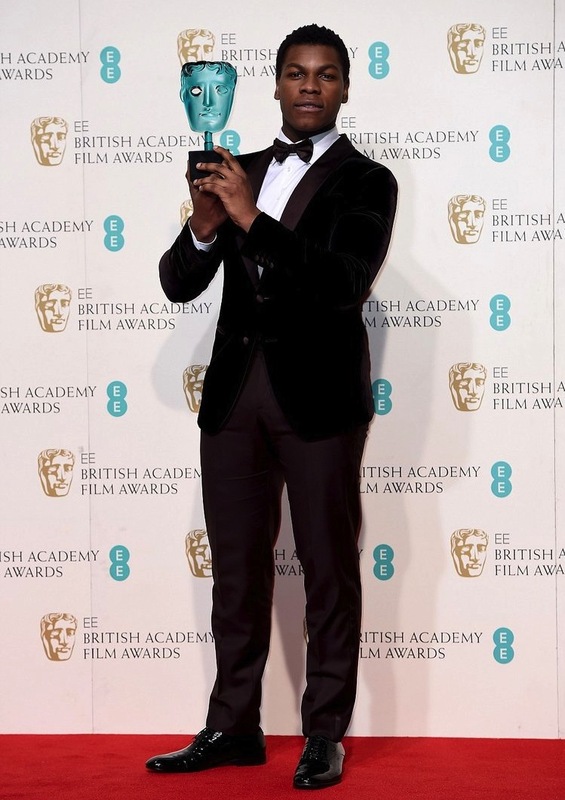 Looking super cool in his well fitted tux, Boyega has came a long way from his debut in ‘Attack The Block’ in only a short time he has reached the dizzying heights of Hollywood. Now thanks to his starring role in the latest Star Wars movie ‘The Force Awakens’ the sky is the limit for this promising actor. Star of the movie adaptation of ’50 Shades Of Grey’ Dakota Johnson turned heads as she arrived on the red carpet, looking simply stunning in a beautiful slinky red dress that left little to the imagination. 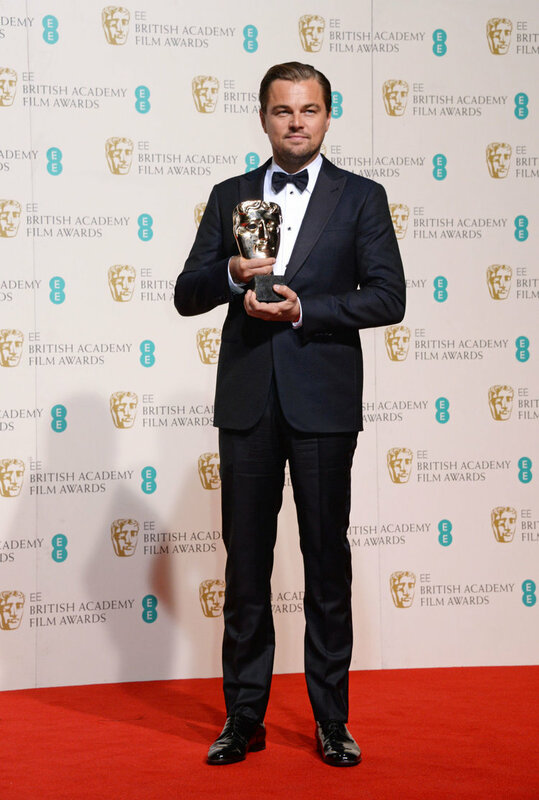 Leonardo DiCaprio clutches his much deserved Bafta Award for best actor, for his portrayal of Frontiersman ‘Hugh Glass’ in his latest movie masterpiece ‘The Revenant’. Hopefully his luck continues and finally wins his first Oscar this year, after long being undeservedly snubbed by the academy. Looking the perfect Hollywood legend in his fantastic suit and bow tie combo. Gemma Chan caused a stir upon the red carpet as she strode towards the event, clad in a glittery dress clinging to her figure. The star of a multitude of films, TV shows and theatre productions, the British actress was also chosen to present an award at the show later in the night. Edris Elba, hotly tipped to take over the mantle of everyone’s favourite spy, 007 when Daniel Craig steps down smouldered in his all black ensemble. This actor has been going from strength to strength each year, his portrayal of rugged cop Luther stamped his appeal to the masses and 2015’s ‘Beasts Of No Nation’ ensured his acting capability where he produced a mesmerising performance as a warlord controlling a band of guerrilla Soldiers. Kate Winslet wowed everyone as she gracefully crossed the red carpet in a gorgeous black dress, proving she’s still as glamorous as ever. The star has been quiet of late, but in the last year has had something of a resurgence, most notably for her performance in ‘Steve Jobs’ where she gave an outstanding performance as Joanna Hoffman. Alicia Vikander, the upcoming starlet and headliner of the fantastic futurist odyssey Ex-Machina looked positively show stopping in her figure hugging dress. Arriving to the event with her actor boyfriend Michael Fassbender. The couple drew headline attention by refusing to partake in some Valentine’s Day photographs. 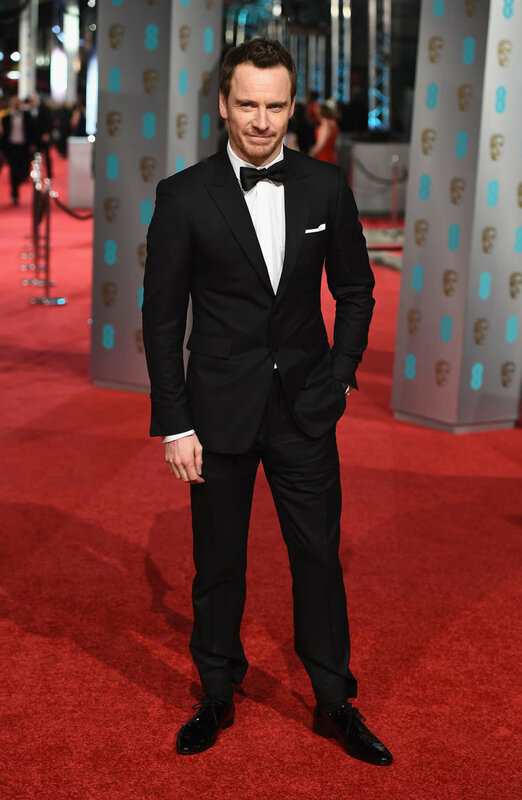 Michael Fassbender looked effortlessly smart in his well tailored tux. Fassbender turned all thespian in last years epic re-telling of Shakespeare’s Macbeth to critical acclaim, then in stark contrast played ‘Steve Jobs’ in the story of the Apple legends life. Isla Fisher appeared fantastic in a white gown, draping all the way to the ground from her stunning figure. She accompanied her comedian husband Sasha Baron Cohen who was unrecognisably smart, forgoing his on screen alter egos.